Today, we have Uber drivers and Comfort drivers fighting with each other over questions of fairness and over who should have what rights over the customers. It will also shut the industry up over who should pay for accidents, repairs and insurance. Enjoy your fight now today drivers… because it won’t be long before your jobs are made redundant. Oh this message also goes out to heavy vehicle drivers who speed and refuse to keep to the left lane. This goes to the rude drivers who refuse to obey traffic regulations, drive dangerously and are picky about their passengers. 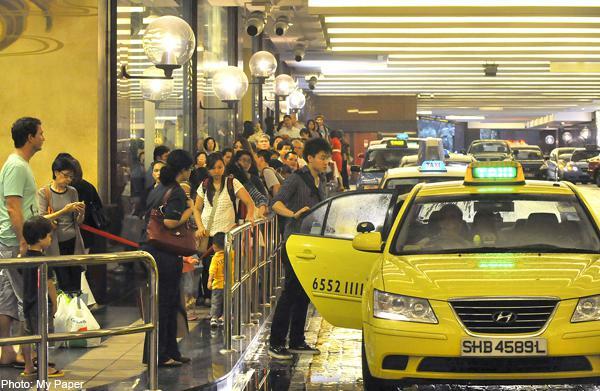 You see, there’s this company called Delphi Automotive that is testing a small fleet of automated taxis in Singapore. They aim to ferry passengers around a city district, providing automated rides on demand. Who is their partner? Why it’s none other than the Land Transport Authority. This technology will make it cheaper to transport goods and people around and it will certainly make it safer. The pilot system will have drivers ready to take over should the automated systems fail, however by 2019 Delphi Automotive will have removed drivers from their cars. That’s three years from today my friend. Delphi plans to start the project with a fleet of Audi vehicles equipped with automated driving and mapping systems. Later on the project will expand with the addition of electric vehicles. Other companies are studying the economics of using automated driving systems to replace human drivers in taxi or ride-hailing services, including Uber Technologies Inc and Lyft, which is collaborating with General Motors. Maybe carparks will be made unnecessary – imagine having a car that can self drive itself home after dropping you off at the office. If you make your living off transportation today, you have maybe three to five years to think about how to evolve your career. Because this technology will be made affordable and widely available by then.